Let’s face it, self-sufficiency and solitude for extended periods in the wilderness isn’t for everyone. But neither is the prospect of being crammed in a bus full of people and taking photos out the window. What if you crave an active holiday but have no one to go with? What if you want to get away and do your own thing but don’t have the time to plan something? The travel industry has well and truly noticed the rising appetite of the independent solo traveller. Guidebooks, blogs, websites, clubs, meetups, tours, and even an annual awards ceremony are now dedicated to solo friendly travel options. Features generally include small group numbers, a local guide, a semi-flexible itinerary, and special consideration for the needs of those travelling on their own. All kinds of people are into it. 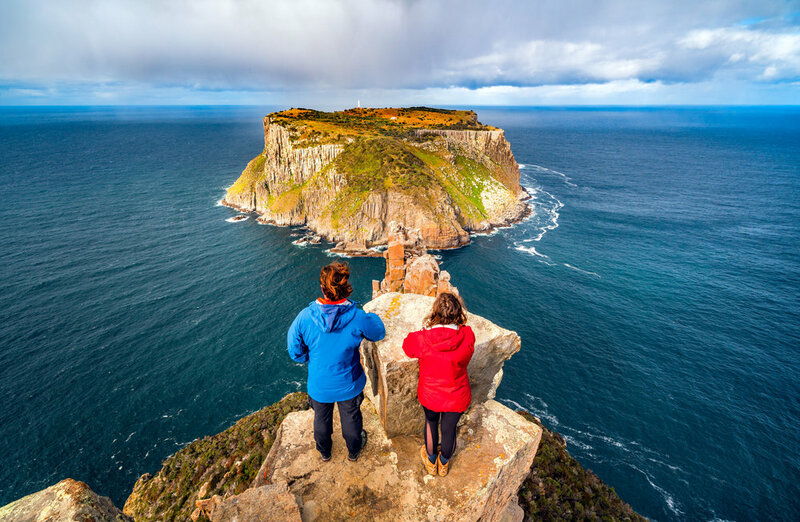 Newcomers and seasoned travellers alike are finding that solo guided tours offer them a mix of freedom, adventure, structure, and a meaningful experience. And it’s proving particularly popular with women. Small group trips make it easy and accessible to explore places where it might be difficult to go alone. Or to pursue new activities that you are keen to try but are not sure where to start. Trips offer the chance to hang out with people with similar interests and can be a quick solution when you suddenly decide you want to get away. There is plenty on offer. Remote multi-day walking and camping adventures, indulgent food and wine trips, and options to explore exotic, hard to reach destinations. 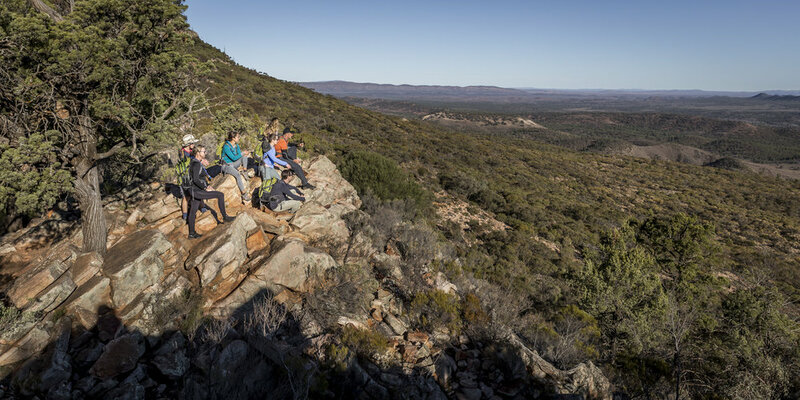 Within Australia, trips to explore our own backyard are proving popular with domestic tourists who fancy a mini-break or dream of discovering our more rugged and spectacular landscapes on foot, bicycle or horse. It’s hard to beat local knowledge. Experienced guides know all the shortcuts, hidden gems, regional delicacies and the best places to stop. They’ll give you tips for your free time, introduce you to locals and help you find what you are looking for. Guides are skilled at explaining and interpreting the landscape, culture, history and other features of a place and its people. They will often point out things that you may ordinarily miss like the tiny delicate orchid that you are about to step on or the wild mushroom that is safe to eat. Depending on the type of trip, they might teach you handy skills like map reading, setting up camp or how to choose the best wine with lunch. Your companions are also likely to be an interesting bunch with plenty of tales to share. Before you know it, you’ll be adding more places to your bucket list or discovering a love for ornithology. The day-to-day planning is largely taken care of. Routes, accommodation, meals, activities, equipment and transport are arranged to varying extents. If you are doing a multi-day activity like walking, you will get tips on what and how to pack. The hard thinking and logistics will be done so you can relax and focus on being in the moment. Travel to certain destinations or doing activities you are not familiar with can be daunting on your own. Joining a group offers you (and the people who care about you) a level of comfort when it comes to safety and security. Someone will be there to help and support you if you need it, and will take an interest in your wellbeing. Small group trips often attract well-travelled and engaging people from all over the place. You’ll share real life moments together and are guaranteed to make new friends. With others around to spur you on, you may be encouraged to achieve something you thought was personally out of reach or be inspired to think about something from a different point of view. Solo travel on a group tour can be more cost-effective than heading out on your own. Agents often get access to discount or exclusive accommodation options and better deals on inclusions and extras. If you don’t fancy sharing a room, keep an eye out for trips and deals that offer no or low single supplements. Specialist gear is usually included in activity-based trips so you won’t have to spend money on big investment pieces like ski’s, kayaks or backpacks that you may not use again. With so many options available now it can be difficult to choose. To help you get started, think about the time of year can you go and the type of experience you want. Do you prefer sleeping in lodges, tents or luxury? Do you want to move every night or settle in a spot? Some companies will help to link solo travellers who share a particular interest and create bespoke tours just for the group. Trip structure, activities, difficulty, and creature comforts will vary. Check the fine print, ask questions, read reviews and pick a trip that suits your preferences and abilities. The amount of direction (hand holding), flexibility and free time varies between tours so consider how much alone or down time you desire and factor this into your decision making. It can feel frustrating to be locked into things all the time so it’s best to know in advance how many group meals or activities are mandatory and when you can wander off. Read your trip notes and turn up with what is on the gear list. It can be embarrassing when you forget to bring your pants on a walking trip and there are no shops to save you. Know what type of terrain, accommodation and weather to expect and pack accordingly. If you are doing an active trip, make sure your fitness level is appropriate before you go (it will make the experience so much more enjoyable). While trips are guided, they are designed for independent people so you will have to actually walk yourself along that trail. Pants or no pants.